Are You Looking for a Lakeway Plumber? The worst time to try to pick the right Lakeway plumber to work with is when you are in need of emergency service. Smart home and business owners know to make this type of choice before something breaks, leaks or floods your basement. The last thing you should be trying to do when a problem already exists is find a reputable professional to respond. You rarely end up happy with the service you get and often still have to pay someone else to come out and repair the shoddy workmanship. Or, you could avoid all of this by simply calling on the pros here at Moore & More Plumbing to help you with whatever you need done. You are guaranteed 100% customer satisfaction. Our Lakeway plumbing company doesn't just offer quality workmanship in all that we do. 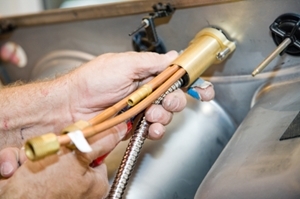 We also make it a point to offer a wide variety of plumbing services in Lakeway, TX. That way you can make sure that you get the finest in quality, no matter what job it is that you need completed. All of our employees are educated and trained in customer service, as well as the latest in repair and installation techniques. We don't rely on outdated methods to take care of your plumbing, although we are familiar with all ages of systems. For your protection, and peace of mind, all of our plumbers must also pass a criminal background check. As extensive as our interviewing process is, you can still feel good knowing we take extra precautionary steps. We will also arrive at your home with a fully stocked truck so we will most likely have exactly what is needed to get the job done. The goal is to complete the job on the first visit, whenever possible. From drain cleaning to sewer repairs, installing water heaters to installing new pipes for major leak repairs, our team of experienced Lakeway plumbers do it all. The best way to get exceptional results, for your plumbing service needs, is by hiring a reputable and established professional plumber in Lakeway, TX. 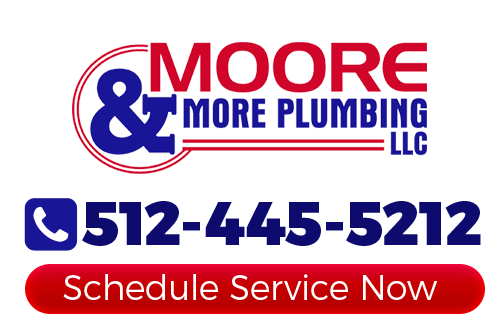 When quality matters, the only name that you need to know is Moore & More Plumbing. Let's be honest, quality should always matter when it comes to your residential or commercial plumbing. We are not done with the job until you are happy with the results. If you are looking for a professional Lakeway plumber then please call 512-445-5212 or complete our online request form.